On-site day-of registration Saturday 03/30/19 at UCLA. Doors will open at 7:30am. *On-site payment must be Credit or Debit Card (NO cash and NO Personal Checks will be accepted). 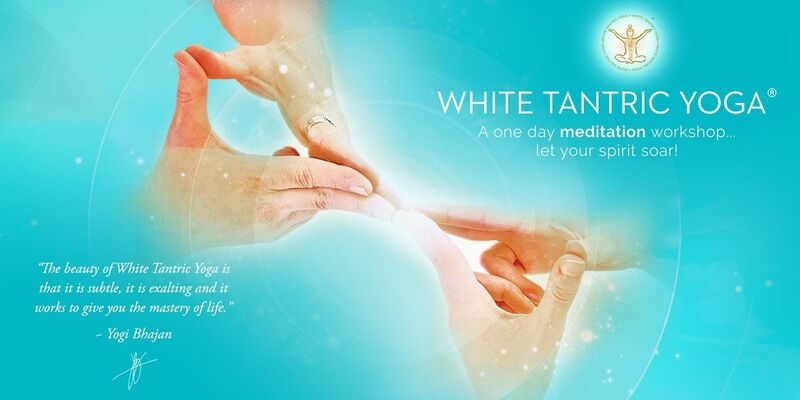 About White Tantric Yoga® And MeditationOur minds release 1000 thoughts per wink of an eye. Some of these thoughts get lost in the unconscious, and some get stuck in the subconscious and affect the conscious mind. These thoughts become feelings, emotions, desires, multi-realities or fantasies. Instead of mastering our mind, often our mind and thoughts direct or distract us, which can result in impulsive decisions, poor communication and self-imposed stress. What To ExpectWhite Tantric Yoga® is done in pairs as a group meditation. You sit facing a partner and follow instructions for meditation given on video by the Mahan Tantric, Yogi Bhajan. 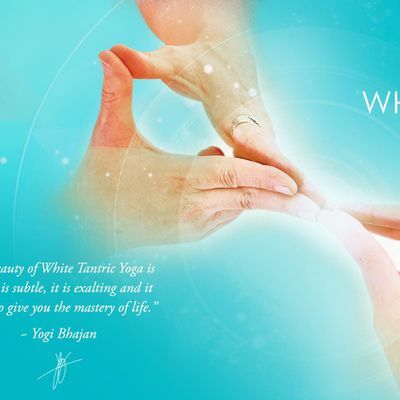 A representative of the Mahan Tantric will be present to facilitate White Tantric Yoga®.Each workshop consists of between six and eight kriyas. A kriya is a meditation incorporating one or all of the following:• a yoga posture (asana)• a breathing technique (pranayam)• a mental focus and/or a mantra• a hand position (mudra)Sometimes the kriyas are accompanied by music. These kriyas vary in length up to sixty-two minutes. There are breaks in between each kriya.The environment is peaceful, and the atmosphere is friendly, supportive, and uplifting. A vegetarian lunch is provided. HOW IT WORKSEnvision the energy of the universe as both parallel and perpendicular in nature, like a cloth woven together. As a cloth becomes stronger when it is stretched on the diagonal, so the White Tantric Yoga® diagonal, or ‘Z’ energy is stronger. This energy, when directed by the Mahan Tantric, cuts through the blocks that are stuck in the subconscious mind. Using the diagonal energy, the Mahan Tantric, Yogi Bhajan, connects his subtle body to the subtle bodies of the participants through the course facilitator. This works the same way as a worldwide telephone system that relies on satellites and electromagnetic energy in order to connect two parties.White Tantric Yoga® should not be confused with black or red tantric. Those forms of yoga also transform energy, but in a different way and for different purposes. Black tantric directs the energy to manipulate other human beings and red tantric directs the energy solely for sexual purposes. ABOUT THE MAHAN TANTRICYogi Bhajan became Master of Kundalini Yoga at the age of 16 in his native India. He came to the West in 1968. The authority to be the Mahan Tantric, Master of White Tantric Yoga®, was bestowed on him in 1970.
WHO CAN PARTICIPATE?There are no prerequisites for participating in White Tantric Yoga®. Beginners will tune into their internal energies and enjoy a deep and sometimes challenging meditative experience. More advanced meditation practitioners will deepen their experience and make new inroads to their spiritual awareness.